7Wonders Hotel Gandhinagar is set in Gandhinagar, 8 km from Akshardham Temple, and provides free WiFi. Featuring a 24-hour front desk, this property also provides guests with a restaurant. Mahatma Mandir is 8 km from the hotel. 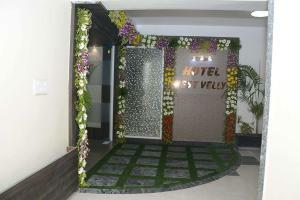 At the hotel, the rooms are equipped with a desk, a flat-screen TV and a private bathroom. All units will provide guests with a fridge. 7Wonders Hotel Gandhinagar offers a buffet or vegetarian breakfast. Sardar Vallabhbhai Patel International Airport is 27 km away. 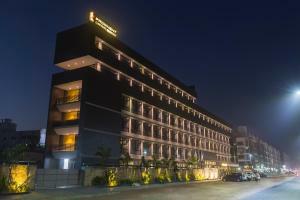 When would you like to stay at 7Wonders Hotel Gandhinagar ? This double room has a electric kettle, fireplace and tea/coffee maker. This double room features a dining area, soundproofing and tile/marble floor. Each day we'll check prices and send you an email for your selected dates at 7Wonders Hotel Gandhinagar. If you don't have specific dates but would like to check prices for say next weekend or say next month we can check the price too. Click to write a review and share your experience of 7Wonders Hotel Gandhinagar with other travellers.